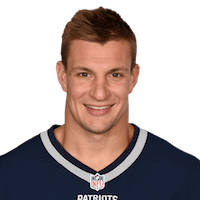 Gronkowski has prototypical size and good speed. Shows fluid hips and runs precise routes. Possesses the lateral quickness and burst to get open in man coverage. Catches the ball away from his chest and displays good body control. Effective blocker that can generate a push. Very productive in his two seasons in the Pac-10. Durability concerns since he missed the entire 2009 season after back surgery and missed three games in 2008. Does not have a great top-end speed and may not be able to stretch the field at the next level. Lacks the elusiveness to make people miss after catch.